Through the program, students will benefit from thoughtful mentoring and programming, expand their network, and learn to transition from college into their professional careers; Nov. 8. Every summer, students from the University of Nebraska arrive in Washington, D.C. to start their summer internships. Most of them do not know the city or anyone in it. To encourage their success, the university launched the D.C. Professional Enrichment Academy. The 2019 program will begin taking applications soon. Through the program, students will benefit from thoughtful mentoring and programming, expand their network, and learn to transition from college into their professional careers. 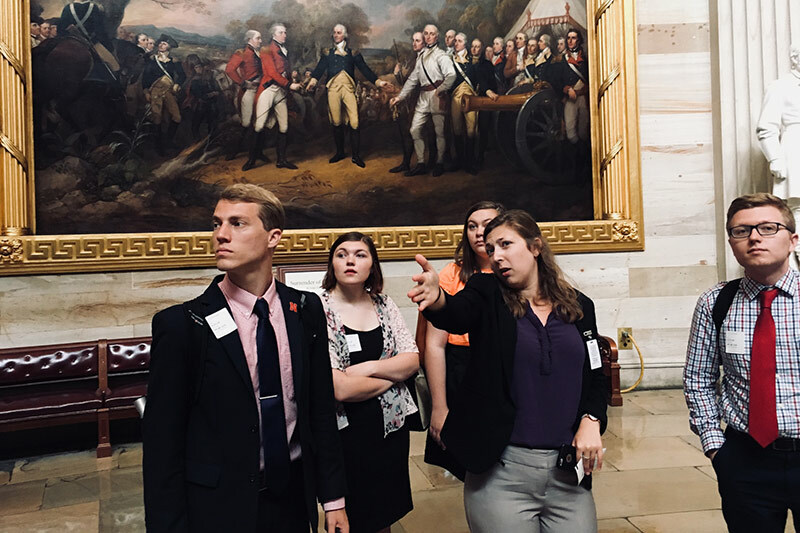 All current University of Nebraska students wanting or planning to intern in Washington, D.C. during Summer 2019 are eligible to apply, including students from all four campuses and from any major or discipline. There will be informational sessoins available for anyone who may be interested. Both sessions will take place on Thursday, Nov. 8 in the Milo Bail Student Center, room 220. The first session begins at Noon and the second will start at 3 P.M.
To find out more and apply, visit the NU Washington D.C. Professional Enrichment Academy website.